New York's Top-Rated BMW Dealer! 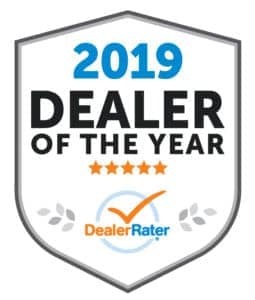 Rallye BMW has been named the 2019 BMW Dealer of the Year in New York by DealerRater. We take pride in delivering the best service in the industry and always go the extra mile for our Guests to ensure their experience is nothing short of exceptional. Visit Rallye BMW today and see what makes us the top-rated BMW dealership in New York. Since 1958, Rallye Collision Center has been the No. 1 place to go for collision repair on Long Island. We specialize in luxury vehicles such as BMW, although, we can fix just about any dent, scratch, or body work on any make and model. If you’re in an accident and you need quick and expert collision repair, make sure to give us a try. Rallye BMW is New York’s Premier BMW Center, serving Long Island and the local communities since 1958. In our 60+ years of doing business, we’ve worked tirelessly to improve for our guests to become the most trusted source for New & Pre-Owned BMW sales and leasing. When it comes to Service, our team is unmatched! We invite you to visit our dealership in Westbury, NY to experience the Rallye BMW difference for yourself. We look forward to serving you.